Unless you are in fact running Win2000 or NT then #1 will be the choice you want to make. If you are running Windows2000 then the install is going to make a change to autoexec.bat. If you are running NT, XP or anything later than XP ( Vista, 7 etc) Then there is no autoexec.bat to change and the installer will be modifying other files to do the install. Other things you should do as a preliminary. Decide where you want to install MRT because the install will unzip files to this directory. And most importantly write down your path to java. So I would start by updating java from www.java.com. After you update java you need to copy down the path to java. You must do this exactly! You need to find the path to java.exe. On my system it is located here. Once you have that, then you should unzip the file you downloaded. 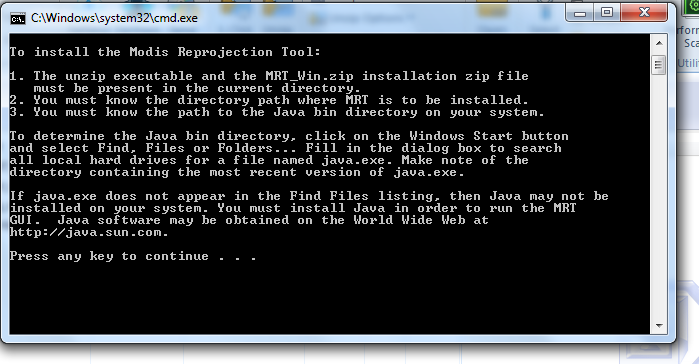 That download will contain the following files after unzipping: mrt_install.bat, MRT_WIN.zip, unzip, and reg_set. If you like open up the *bat file in notepad. If you double click on it it will just execute. I suggest reviewing the bat file before running it. Then just follow the instructions. You will be asked to specify a directory to install the files. The MRT_WIN.zip file will be unzipped to that directory. You will also be asked for your java path. After you finish the install you can also create a shortcut for your desktop. Look in the “bin” folder of MRT. You will find a file named modis_tool.bat. Right click and create a shortcut. The bin directory also has an icon for the shortcut. After creating a shortcut for this file, you can copy it to your desktop. Click on the shortcut and you will see the following. 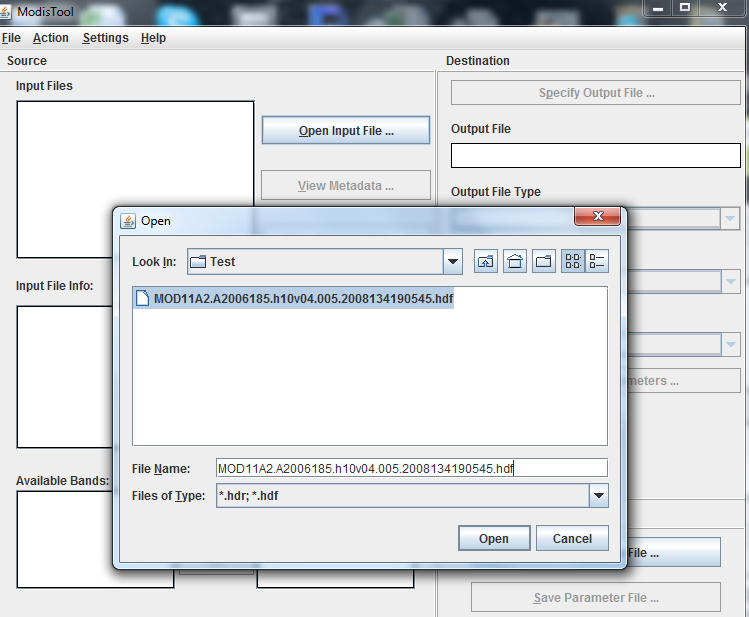 If you dont create a shortcut, just start the program by doubling clicking on Modis_Tool.bat in the “bin” directory. 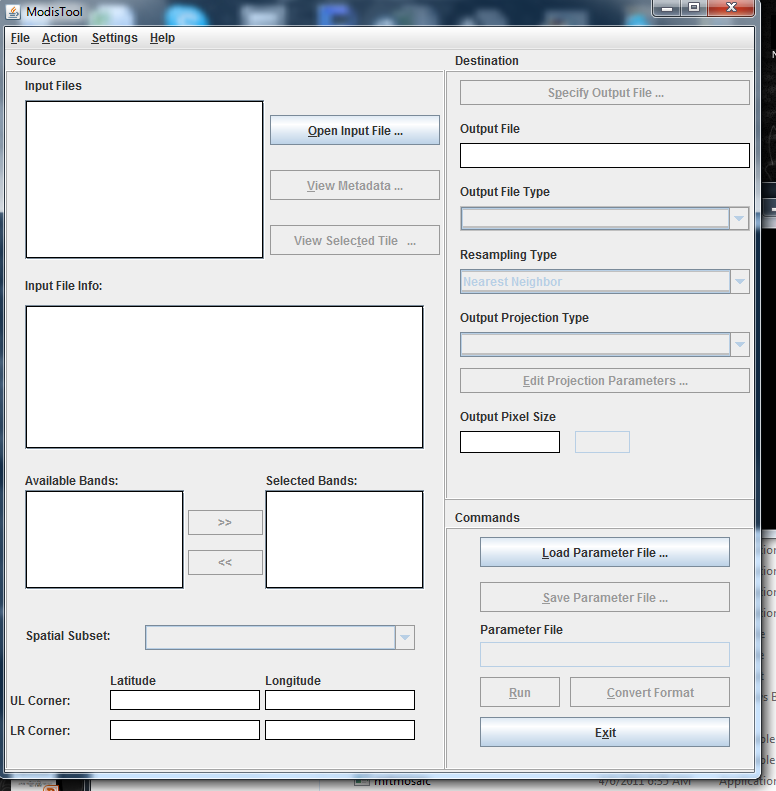 After loading the file we will reproject it to A Geotif using geographic projection. Note I have ALL the selected bands in this step. Each band will be resampled and reprojected. I selected an output file name. Resampling I have selected nearest neighbor. 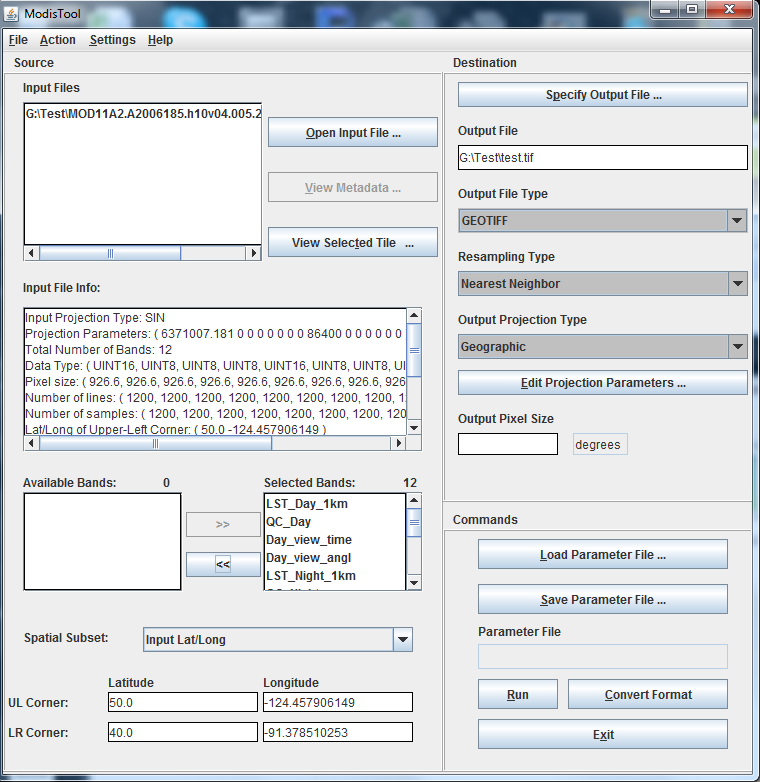 Note the QC files are all bit data, so nearest neighbor is the right choice. I’ve selected a geographic pr0jection and I edited the parameters (Edit Projection Parameters ) to give the output WGS84 datum. If you click run the input file will be unpacked into the various bands and each band will be resampled, projected and saved as a geotif. 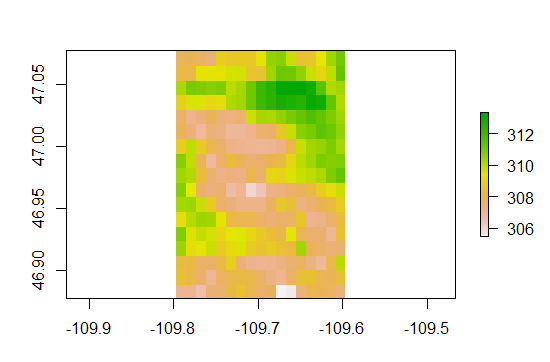 To show you what the Geotif looks like, I’ll pull it up in R.
and then I can crop the data and look at a smaller area. 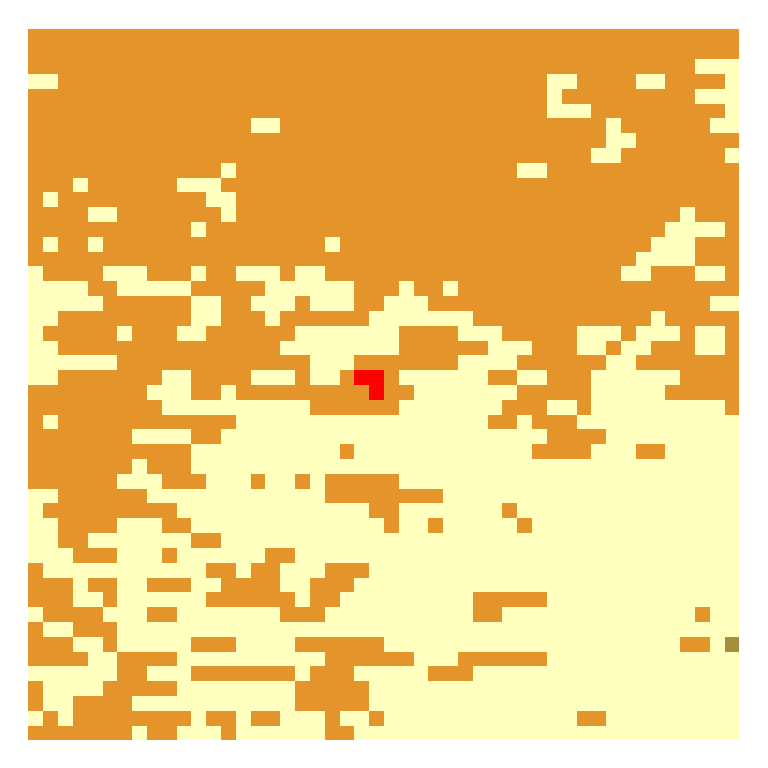 The pixels here are roughly 1km ( 926 meters ) On the bottom we have LST during the day and on the top we have the landcover classes from my other project. The red detail in the middle is a small city. Thank u for the MRT info.But i am facing problem in reprojecting the MOD09 A1 file.The process gets terminated. Hi Revati, I am facing the same problem while trying to reproject the MOD10A2 data. The process gets terminated. I m working in windows environment, XP. i have installed the tool but when input HDF files, it says “Error in module” opening input header file. i cant process from this point. kindly tell me the soln. hi jigme , i’m facing the same problem,do you get the solution? Hi Steven, I am trying to run MRP under Windows 8.1 but I haven’t had success. Apparently, there’s some issue concerning Java pathway. So, I tryed to run MRT web interface, but It does not work also. Maybe it’s offline. Do you have any suggestion? 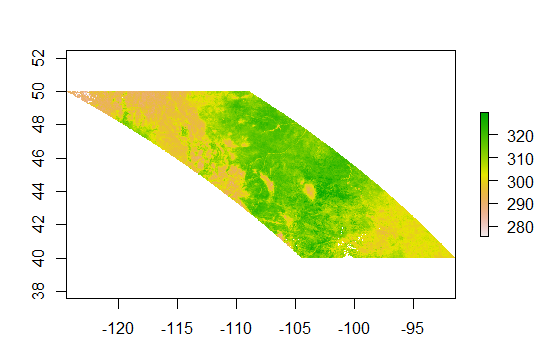 When we try to use the tool “Modis Reprojection Tool” with MCD64A1 , the HDF data files haven’t datum, and that genres error datum, so which datum we should use in HDF Products to get products geotiff with projection Geographic datum WGS84? I also have a same problem. Any news about fixing it ? Would be glad if there was any of it around ! mi pregunta es, si pones lo valores 0 a los valores nulos, eso no seria malo para la imagen ya que “inventas un dato de cero” a un pixel, ademas cuando los conviertas a centigrados 0-273.15 seria -273.15?? Inside the 85, kids might simply fantasy ones, nothing get to them far more simple, along with inside our occasion it is complex to assume children without them. The talk will give attention to radio-controlled gadgets. In the beginning, design with devices with reserved management ended up being invented regarding creation in dangerous or even inaccessible positions for folks. Later, getting jumped on the daily amount, these were transformed straight into amazing model for sons. The various kinds and varieties of frameworks frequently puzzles parent or guardian, although teens live lucky versed in the features of any model.